The adidas BT Boom badminton shoes are designed for training at a gym thanks to their special rubber compound. 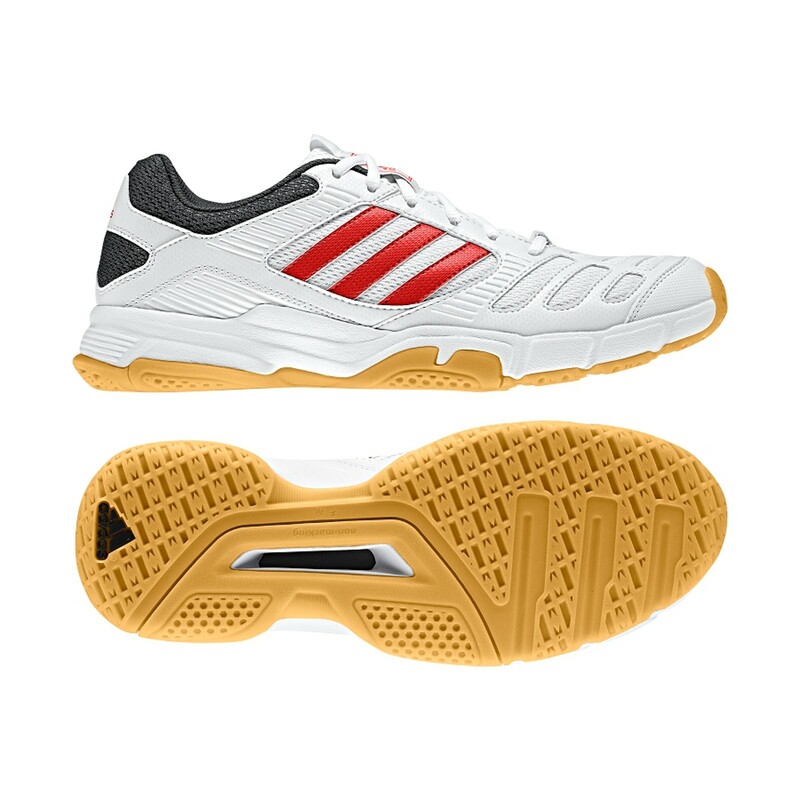 Shoes are of very good grip and are very abrasion-proof — ideal for quick slowing down and sudden change of direction while playing badminton. The adidas badminton shoes are stable and light. The ADITUFF technology provides a very good abrasion-proof quality on zone of toes, because loading is the strongest here. The badminton equipment is breathable thanks to the MESH upper: feet remain well cooled even for long workouts.